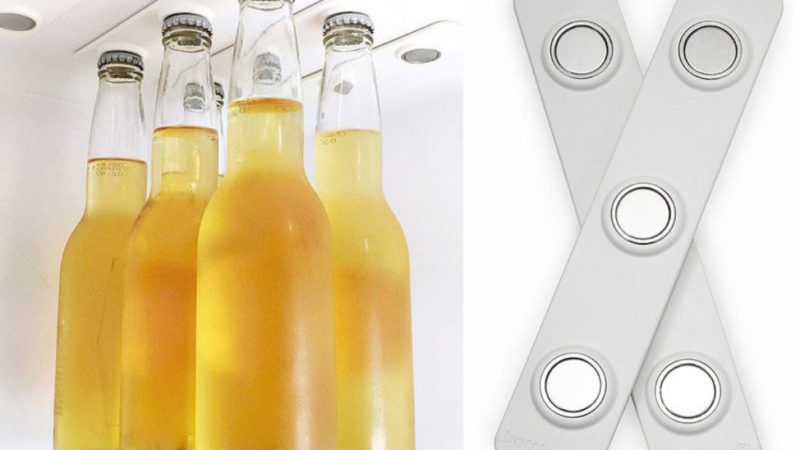 Save room in your fridge with this cool magnetic refrigerator bottle loft. 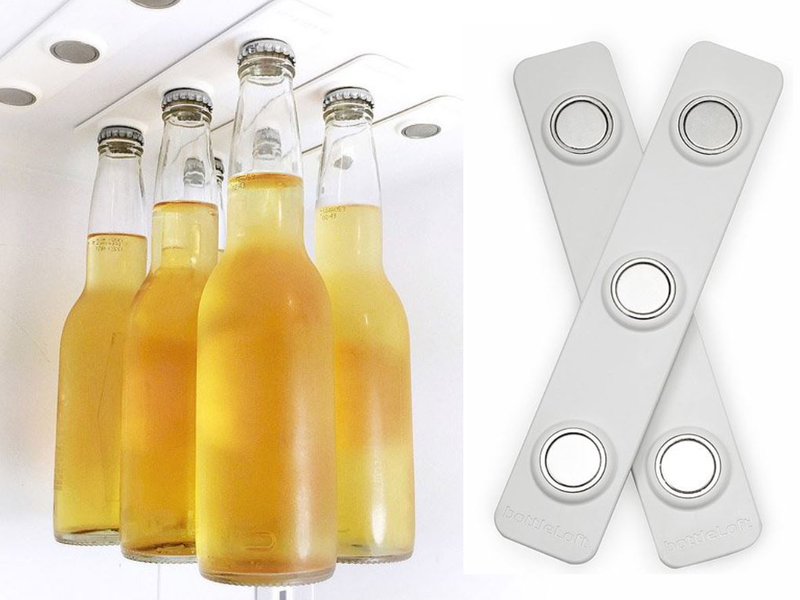 The magnetic strips featured by the bottle loft suspend drinks in your fridge. This saves shelf space and keeps your drinks easily accessible. The magnets are very, very strong so that they can hold your drinks in place. It is easy to install into any refrigerator. The magnets that are used to create the bottle loft are called neodymium magnets. These have been chosen because of their strength. You will find that glass bottles of drink are quite heavy and the strength is needed. Each one of the bottleloft strips features three of these super strong magnets. You can install the bottle loft easily because of the included heavy duty adhesive. It is a peel and stick adhesive because this is very convenient. The adhesive will hold the bottle loft in place because it is designed for heavy duty use. This is a great gift idea because it is quite a unique and useful item. An innovative way to ensure that there is always enough beer in your fridge. It is not just for beer but any drinks with twist off metal lids can be stored in the bottle loft. If you enjoyed checking out this cool bottle loft you may also like to check out the following.